Apr. 1, 2013 - By: Pure Aqua , Inc. 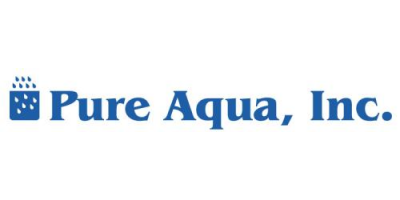 Courtesy of Pure Aqua, Inc. In April 2013, Pure Aqua, Inc. designed and manufactured a commercial RO package to a major hotel in Jordan to remove, chlorine, TDS, and odor from well water. The package consisted of pre and post treatments including a multimedia filter and chemical dosing systems. The brackish reverse osmosis system was designed to produce 27,000 GPD at a feed water TDS of a maximum 3,000 ppm, it was selected from our RO-300 series and came complete with a microprocessor control panel. Since the initial startup, the company has been receiving quality water and experienced minimal troubleshooting with the equipment. A brackish reverse osmosis system is a system that is designed to remove salts, minerals and other impurities from brackish water. Brackish water is water that comes from sources such as river openings or wells that are dug close to the sea. It is a combination of seawater and fresh water. It has a higher salinity volume than fresh water but not as salty as sea water. Brackish water is moderately salty, yet it isn’t encouraged for human consumption. Brackish reverse osmosis systems use a process called “reverse osmosis” to purify water. Reverse osmosis is employed in removing salts, organics, and many other impurities that exists in water by applying extremely high pressure to the highly concentrated solute solution allowing the solvent to transfer through a semi-porous membrane and into the lower concentrated solution. Salts, organics, and other impurities are captured and discharged into the brine stream then into the drain. Finally we have purified water emerging at the lower end of the membrane. Typically, a commercial reverse osmosis system package requires pretreatment- ion exchange water softener, activated carbon filter or SBS chemical dosing and possibly some post treatment- polishing ion exchange resin bed. The configuration of the commercial RO package and the pre and post treatment will vary and depends on the end use of the RO-treated water. All necessary pre and post filtration equipment for your application is designed by Pure Aqua, Inc. engineers and assembled in our headquarter in southern California. It will be incorporated into your commercial RO system package to ensure complete functionality and efficiency of your commercial RO system. No comments were found for Commercial RO Package, Jordan. Be the first to comment!